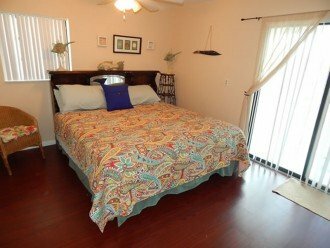 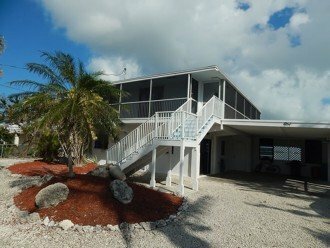 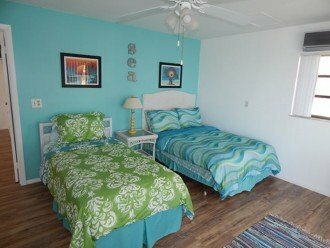 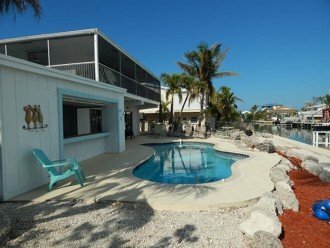 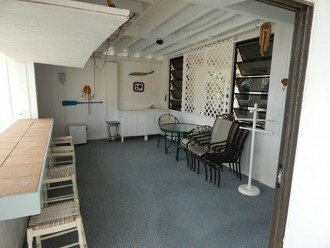 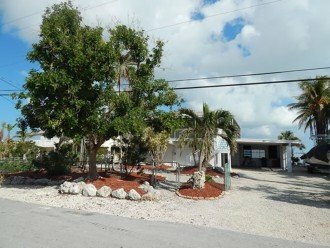 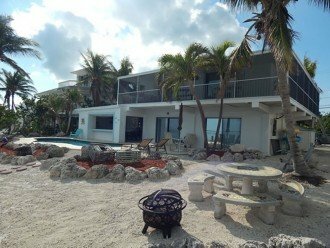 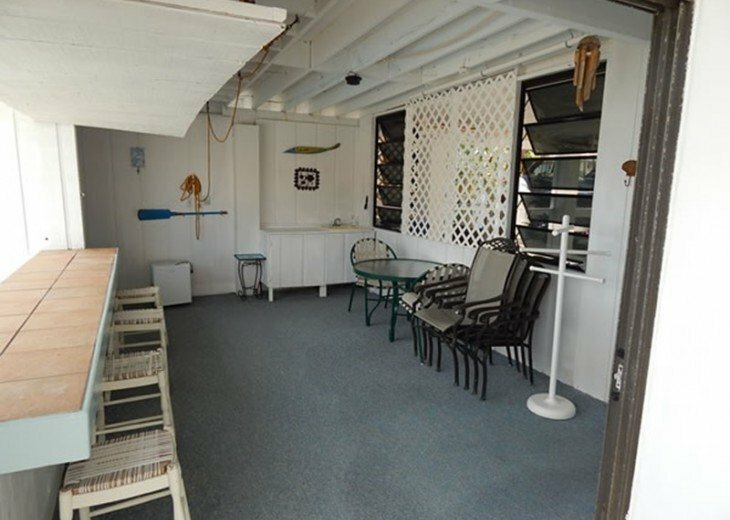 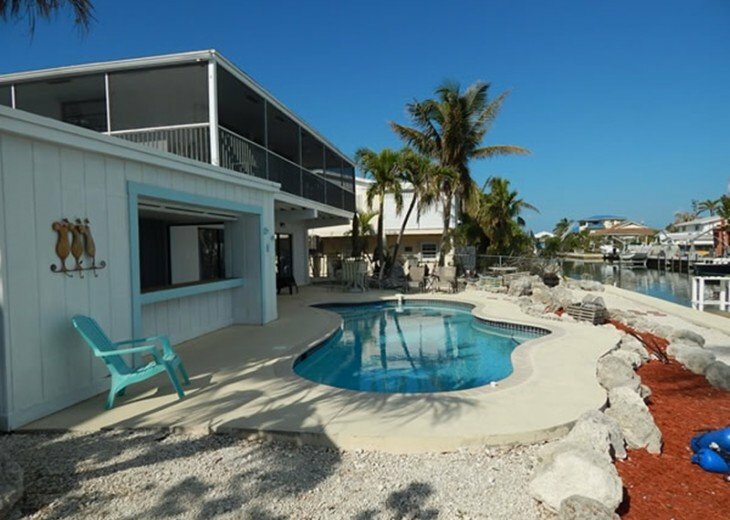 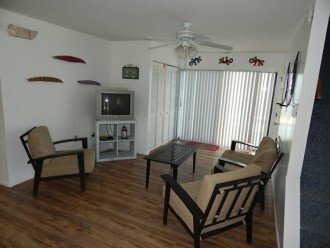 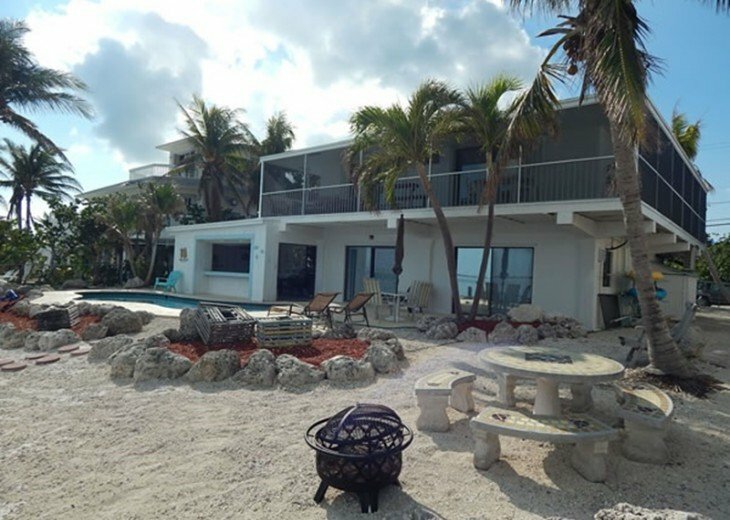 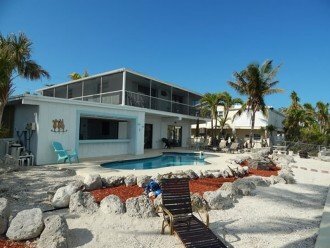 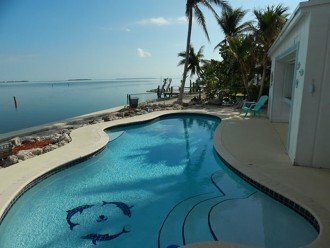 Escape from all your cares at this wonderful vacation rental on Cudjoe Key. 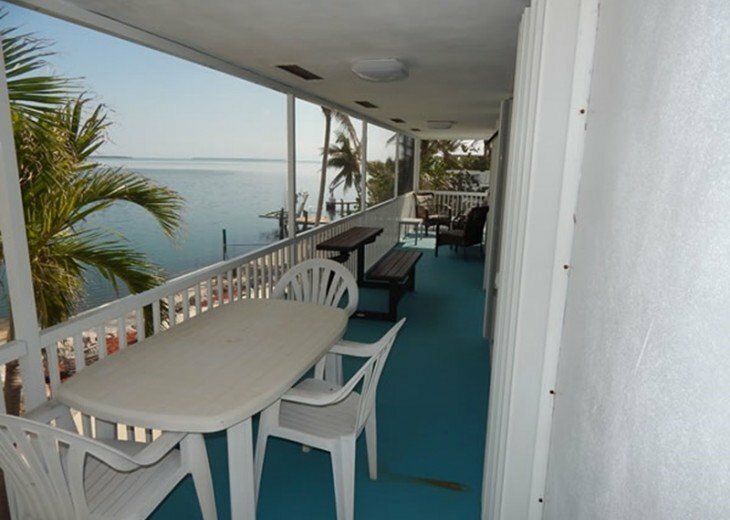 Just the spot to unwind and let your hair down. 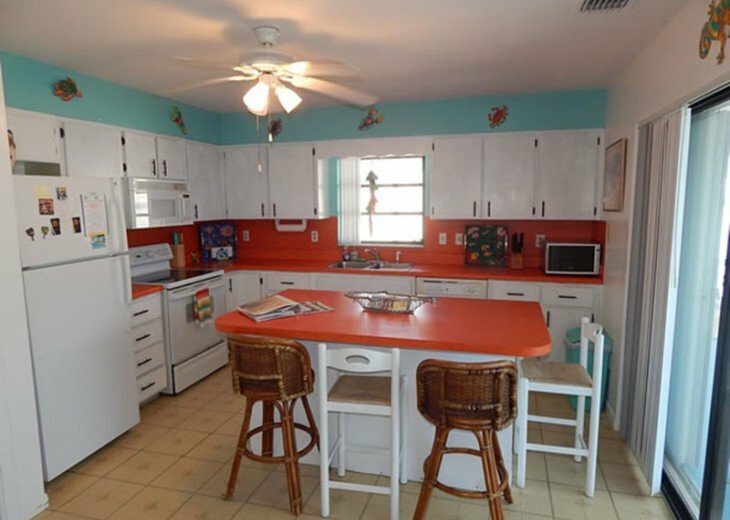 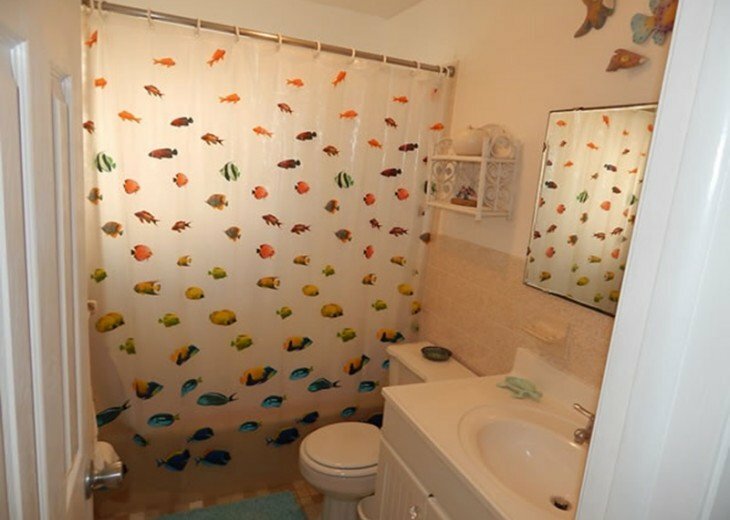 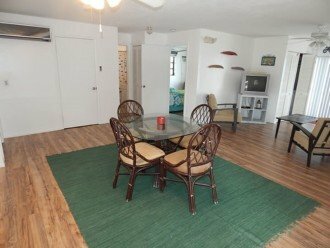 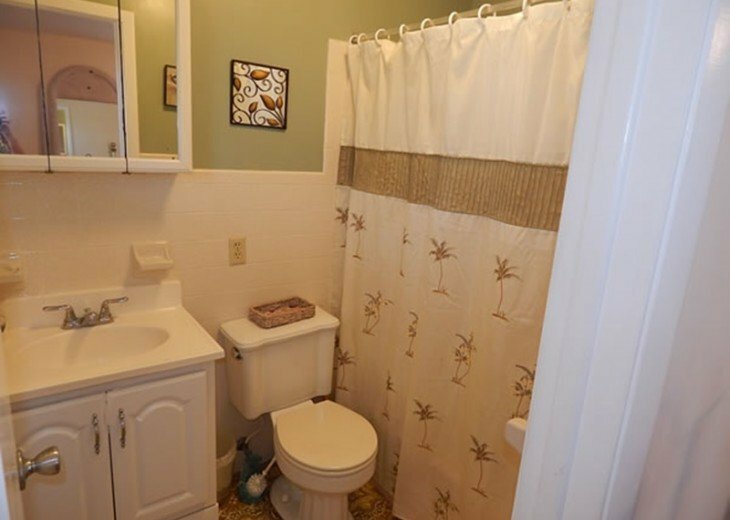 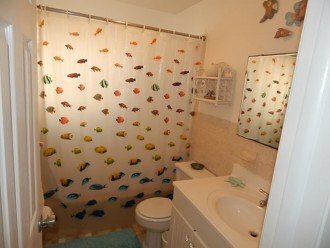 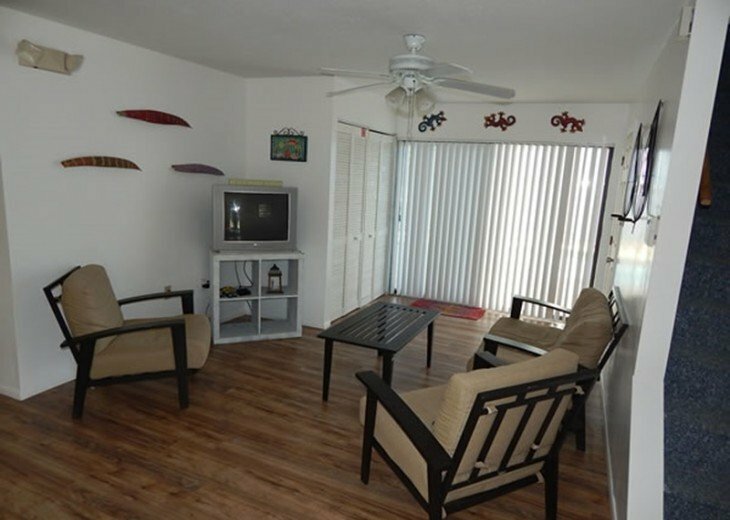 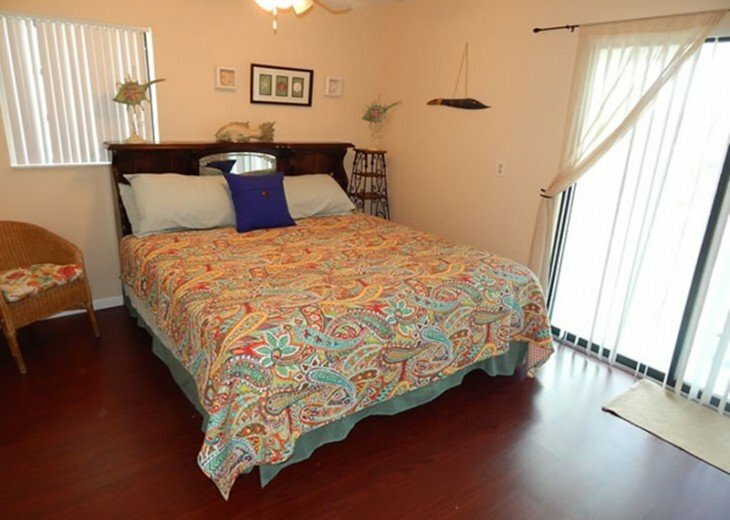 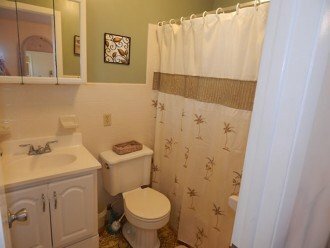 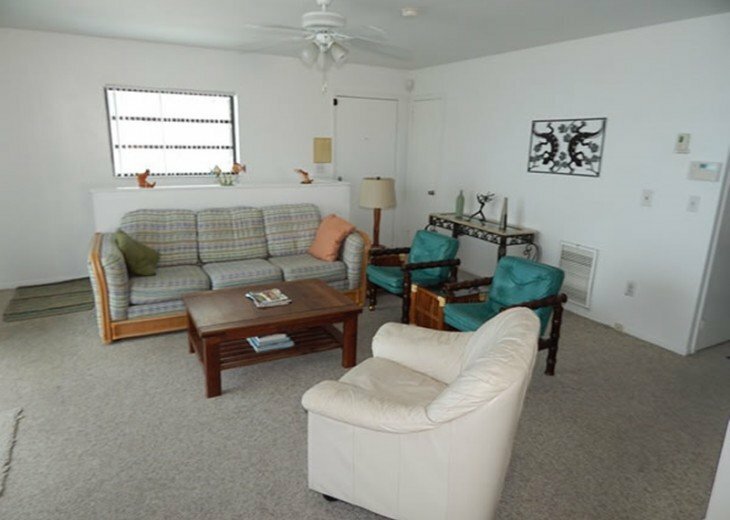 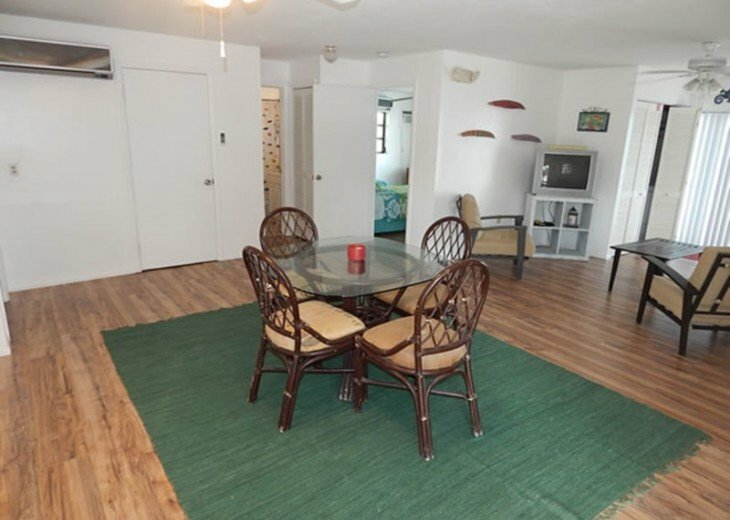 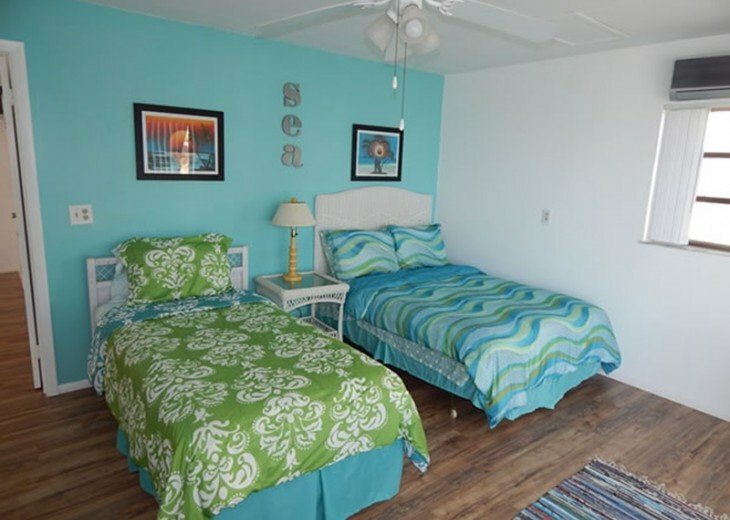 There are 3 bedrooms and 3 baths plus a recreation room for the kids to get away. 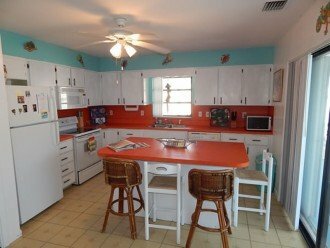 Open and airy living and kitchen area for friends to gather. 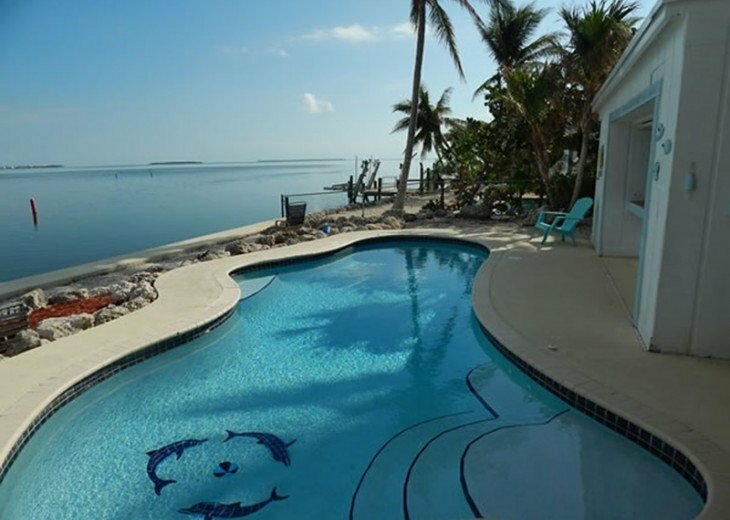 Full walk around screened porches which overlook the open water and fabulous cool pool. 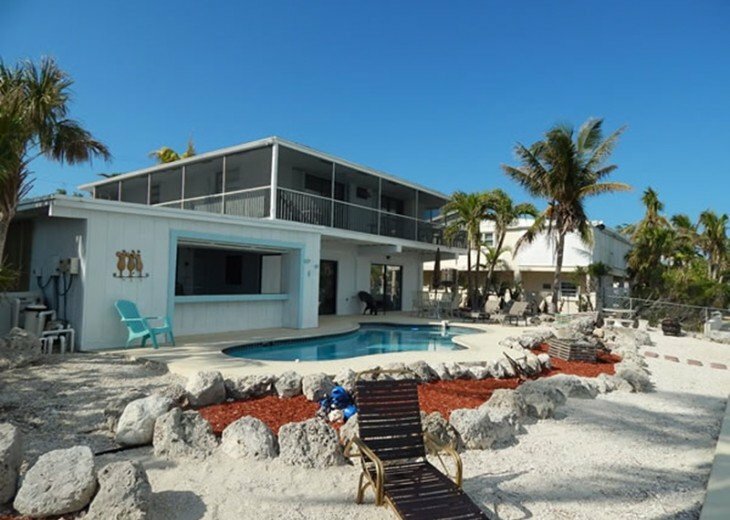 You’ll love the cabana area by the pool with bar, to chill out around the pool and enjoy the million dollar views. 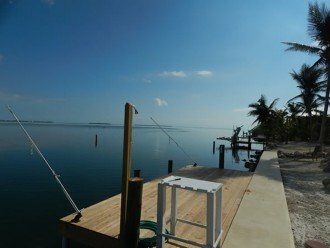 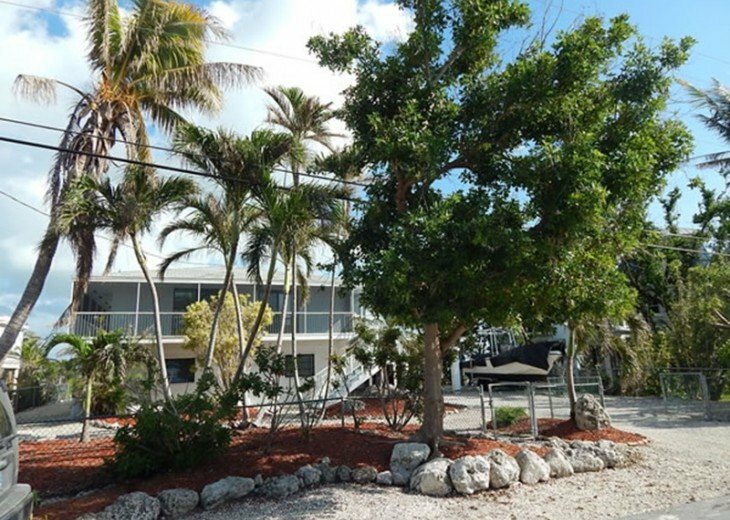 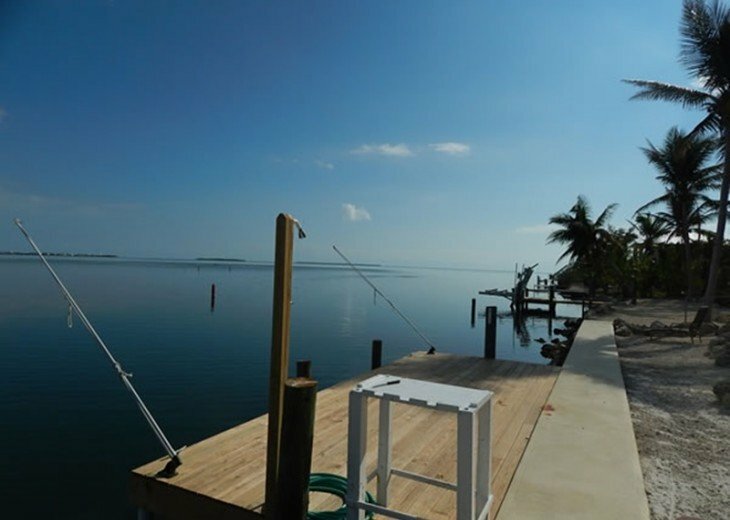 Excellent access to the Atlantic for hours of spectacular fishing and diving with 35 foot dock. Located at Mile marker 23 on Sawyer Drive.